Whether measurements from sensors, results from simulations or interview recordings, modern scholarship generates incredible amounts of digital information which, properly kept and shared, holds the potential to drive new research and innovation. Recognising this, funders are implementing policies for RDM and data sharing, such as the Horizon 2020 Open Research Data Pilot, which aims to improve and maximise access to the research data generated by EU-funded projects. But good data management skills are useful far beyond complying with funder commitments: well-managed data foster good scientific practice and sharing well-formed, well-described data increases research impact. Identify appropriate RDM tools and services. Are you publishing an APC-free OA journal on a shoestring? OpenAIRE is hosting a webinar on Thursday, 12 May 2016 at 10:00 CEST where you can learn more about the new OpenAIRE call for proposals to fund APC-free Open Access journals and platforms under the alternative funding mechanism of the FP7 Post-Grant Open Access Pilot. Besides funding APCs, OpenAIRE would also like to offer a funding opportunity for APC-free OA journals under the EC Gold Open Access Pilot: after all, two thirds of the journals listed in the DOAJ charge no APCs to their authors. Therefore, a call for proposals has been put together that will allow these journals and/or platforms and publishers to apply for funding for improving their publishing workflows along a number of suggested lines. A maximum of €200,000 will be awarded to up to 12 bids to perform technical improvements on APC-free OA journals such as becoming OpenAIRE compatible, systematically collecting funding information in the article metadata or implementing ORCID. 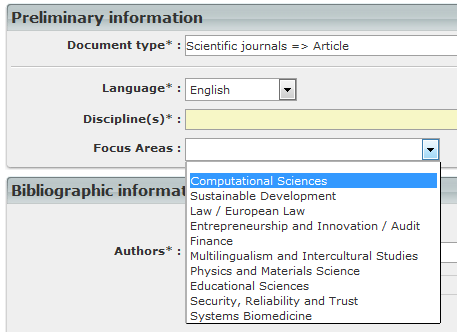 In order to be eligible for funding, such journals must have published (or accepted for publication) eligible articles arising from finished FP7 projects during the last year. The call for proposals will remain open until the 30th of June, and bid assessment will be done during the month of July. The selected proposals will be announced in early August and will have until the 30th of April 2017 to carry out the proposed improvements. The second part of the webinar will be a Q&A session where questions about this funding initiative will be answered. As of Mar 10th, 275 funding requests have already been granted by this pilot to researchers and projects across Europe and beyond, with only 1 having been granted in Luxembourg. Join the OpenAIRE webinar to be held on Friday 18 March at 11am to learn more about the progress of the FP7 Post-Grant Open Access Pilot. What dissemination actions will be carried out next. Full details and registration link can be found on the OpenAIRE website. If you have any questions, contact us on orbilu@uni.lu. Toujours un peu perdu avec le concept d'Open Access ? Cette petite vidéo du Lab'UA (Université d'Angers) de 3,30 minutes pourrait répondre à vos questions. Congratulations to The Netherlands Organisation for Scientific Research (NWO) for further strengthening their support of Open Access. As of the 1st December, all publications emerging from a 'call for proposals’ published by NWO after this date must be immediately accessible to everybody from the moment of publication. Valuation Score: assessment by users of the journal, either authors, editors or reviewers peers. With QOAM you can not only express your experience with a journal as a researcher but also find out more about an OA journal, its quality and cost. Horizon 2020 has been at the forefront as a major funder implementing Open Access policies. Following the Open Access pilot in FP7, Horizon 2020 brings a strong mandate for Open Access to publications as well as an Open Data Pilot in certain areas. Many questions arise from this policy: how to practically follow the requirements, which media to use, and what about confidentiality issues? Which issues should be taken care of at the proposal stage, during the project and after the project finishes? The aim of this workshop is to provide answers, to exchange experiences, and to define problems and barriers. The target audience is NCP's, research administrators and project coordinators. The morning will be devoted to Open Science in Horizon2020. After an introduction by the EC, the benefits of Open Science will be presented by Lennart Martens. The Open Access mandate and the Open Data Pilot will be clarified with examples of how OpenAIRE services can be of help. The afternoon will propose interactive workshops, taking a closer look at the practical implications of the Open Access mandate and the Open Data Pilot. One track will discuss the mandate, how it affects projects and researchers and how OpenAIRE can help you to comply. In a parallel group, the Open Data Pilot will be discussed, with a presentation of research data management tools. There will be time for discussion and questions as your input is important for the success of the project. You can register for the workshop here: registration OpenAIRE workshop. There is no registration fee. Interested in publishing your book in Open Access? The Open Access Directory, a wiki-based website managed by the Open Access community, provides a list of Open Access Book Publishers. Open Book Publishers: Founded in 2008 at the University of Cambridge, Open Book is a nonprofit publisher of peer-reviewed, academic books. The books can be viewed online for free (via Google Books), while digital PDF editions and POD paperback and hardback editions are available for purchase. They are licensed under the CC-by-NC-ND license for England and Wales. Open Humanities Press: Open Humanities Press was established in 2009 in partnership with University of Michigan's Scholarly Publishing Office to publish open access monographs and make them available online. The site currently hosts a small number of journals as well as books. This is just a small sample of the over 100 publishers listed (last updated on 3 Sep 2015). Interested in learning about different aspects of Open Science but don't have the time to attend a course or information session? The Foster project has just released their first set of e-learning courses as part of Open Access Week 2015. The self-learning courses focus on the topics “Open Access in Horizon2020”, “Open Science to Research”, and “Repository compatibility with Horizon2020”. The courses have been created by FOSTER partners and offer a variety of options to get to grips with each topic: short video presentations, background reading and self-assessment tests. For further developments, stay tuned to the Foster project via their twitter channel @fosterscience or their website.